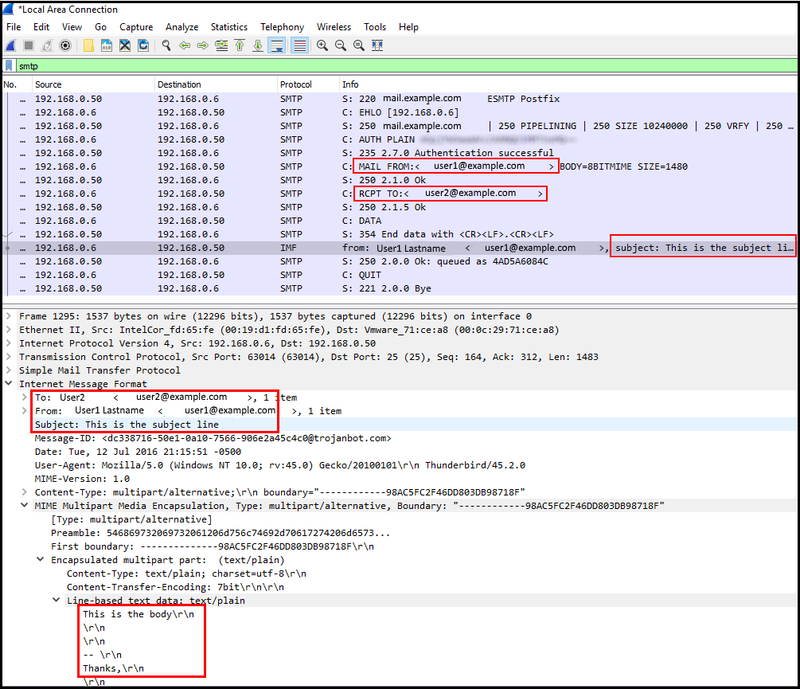 When a public certificate and private key are being used to encrypt email traffic, enter the IP address of the SMTP email server to view the encrypted packets exchanged between the client and server. Without the private key, you will not be able to view sensitive information, such as the sender or recipient email address, subject line of the email, or the body of the email. 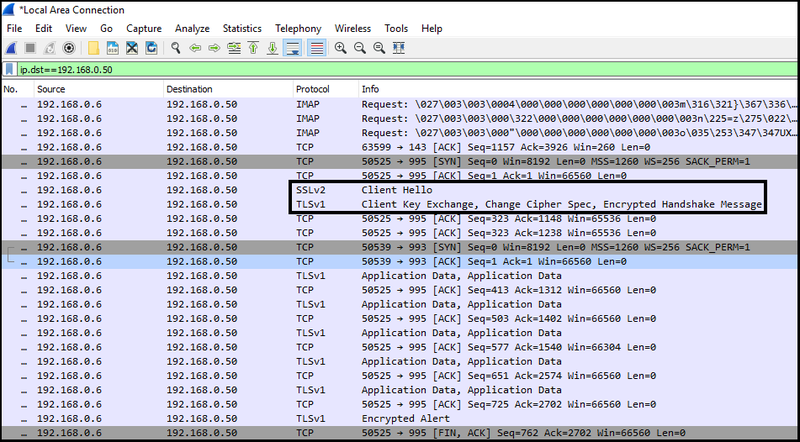 In this example, Wireshark show SSLv2, TLSv2, the key exchange, and the encrypted handshake.